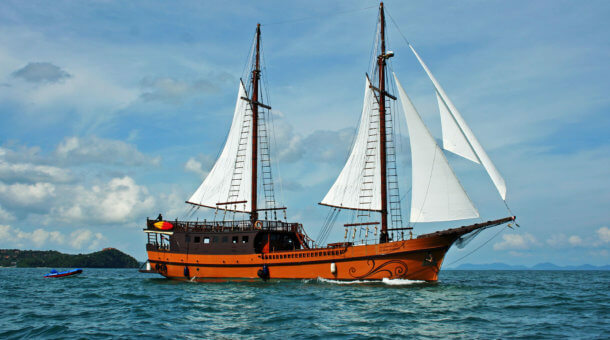 Racha Yai (or Raya Yai, or sometimes Raja Yai) is probably our most popular local dive destination from Phuket. 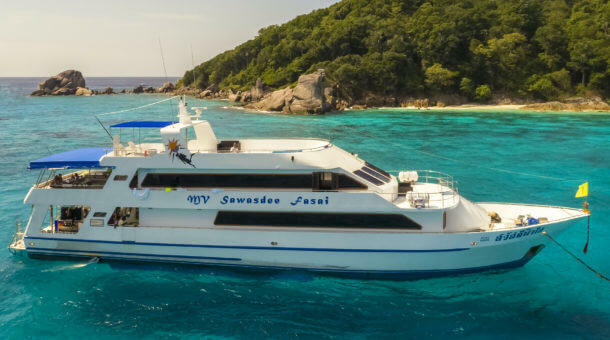 The island is not too far away, about 15km south of Chalong Bay where day trips depart from, you can dive there year round and with shallow bays plus reefs down to 25 meter depth it’s suitable for all divers. It’s our main training location for new divers, and also ideal for a scuba review or just a couple of easy dives in clear water. Racha Yai Island is not large – about 3.5km long and 1.5km wide, but it’s big enough to provide shelter on windy days, meaning we can dive there any time of year. There are about 6 “named” dive sites all around the island, most being on the east coast, which makes Racha Yai a great place to dive during our low season when winds blow from the west. On the north side of the island are 2 large bays that offer shelter to boats in either west or east wind. Bungalow Bay is commonly dived by student divers, it’s shallow and currents are minimal. Siam Bay has some deeper water, but can also be dived at 10 meters for first time divers. 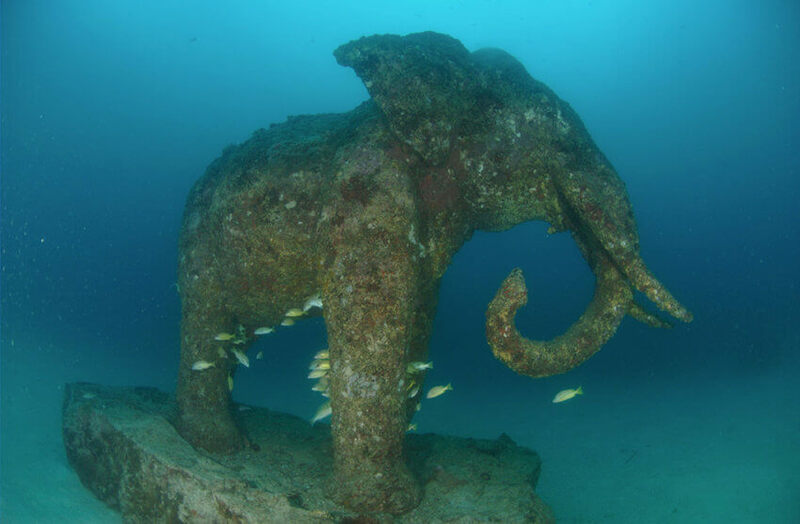 At about 18 meters in Siam Bay you can find several statues that were put in the bay back in 2006 including a couple of large elephants (see photo below). The east coast features several shallow bays joined by a sloping reef that drops to about 25 meters in places. New divers can dive in the bays in depths of 5 – 10 meters while more experienced divers can jump off the boat onto the main reef, which is largely staghorn coral. 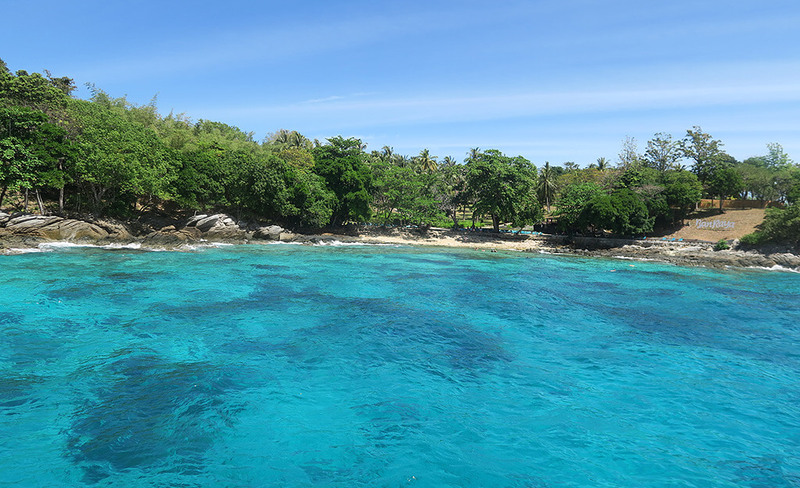 it’s maybe not the best reef in the world, but marine life is very healthy at Racha Yai. 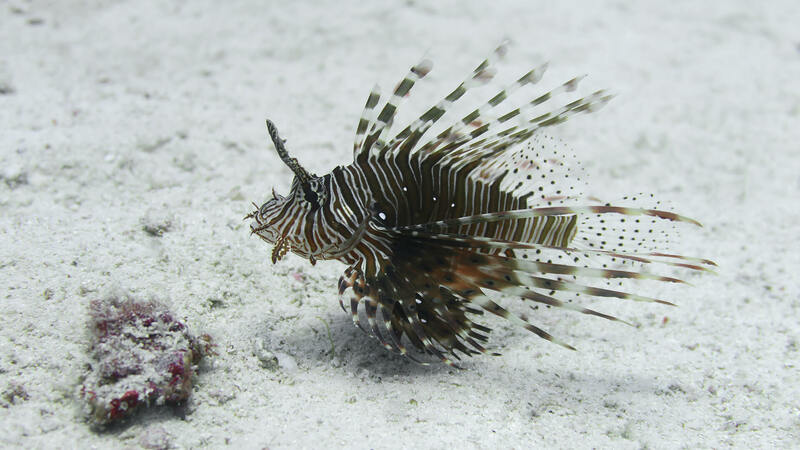 On an average dive you may see lionfish, scorpionfish, small blue spotted stingrays, barracuda, bannerfish, morays, damselfish, garden eels, butterflyfish, pufferfish and a lot more. 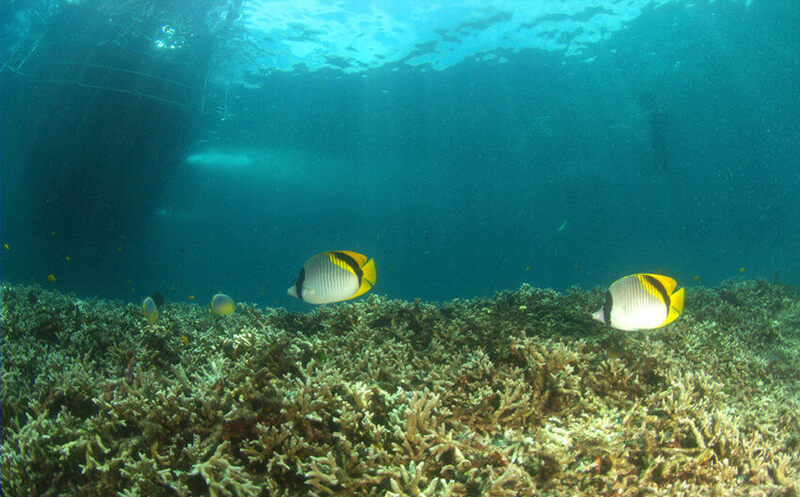 Racha Yai can be dived year round from Phuket. There are day trips every day with 2 dives ideal for beginner divers or anyone wanting a couple of very easy dives. 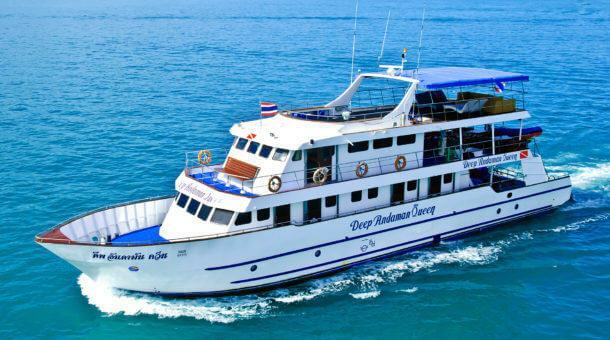 There are also 3 dive day trips every day combining Racha Yai with Racha Noi Island.